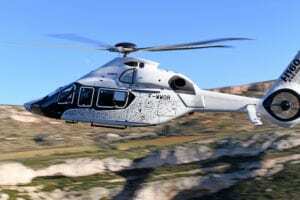 Eurocopter’s EC145 has been a popular aircraft in both the military and public service sectors. 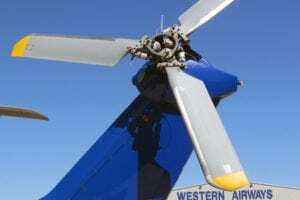 But Ron Pratte, a businessman and helicopter pilot residing in the Phoenix area, had one of the twin-turbine aircraft built for his own personal use. 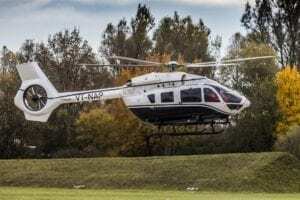 His EC145, which is on display at the National Business Aviation Association (NBAA) Conference and Exposition in Las Vegas, was built in 2009 for a different customer. However, Pylon Aviation of Chandler, Ariz. acquired it on behalf of Pratte, and coordinated its retrofit to his specifications. Metro Aviation installed the avionics, and Arizona Aircraft Interiors completed the cabin. 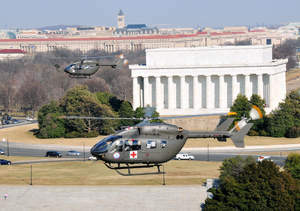 Doug Jeggers, a custom automobile painter, applied the EC145’s exterior scheme.